"... I switched to this fish oil about 8 months ago now and really feel it works far better than the standard optimum nutrition fish oil I have used for years prior to this. I highly recommend that you try this if you want a positive change to these basic supplements." "... I picked up citrus omega a few weeks back and have been using it since. 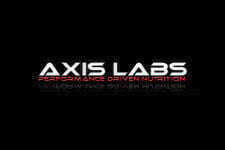 First time user of an Axis Labs product but I am impressed. First time supplementing with a fatty fish oil because of the taste. This one promised to have a citrus fresh flavor and it does. I have found that my skin is healthier (less acne, etc) and my joints are actually not hurting as much. My knees especially, seems to be manageable as each day goes by. I will be running this for the course of the summer and into the fall and plan on adding some other items from this company as well." Now you can actually enjoy the benefits of supplementing with fish oil with itrus flavors! 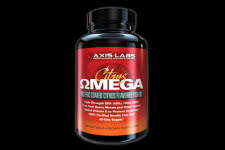 Axis Labs has taken a step towards healthy living with this powerful essential fatty acid supplement, Citrus Omega! Unlike other of the thousands of different brands and types of fish oils this one stands out above the rest. Created with active people in mind, it is a Nordic based fish oil that is 20% DHA and 40% EPA! 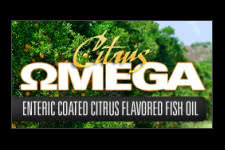 Now you can enjoy supplementing with fish oils and avoid the gross after taste with Citrus Omega as it is a citrus flavored capsule! There are many great health benefits of supplementing with Citrus Omega daily such as effecting the absorption of fats and cholesterols, improving your very own cardiovascular overall health, improving and healing joints and most importantly for athletes is lowering your fat! There is so much more to experience with Citrus Omega, we'll let you try out on your own and then post your results right here at fitFLEX! Enjoy 3x Strength 40% Essential Fatty Acids & 20% DHA!